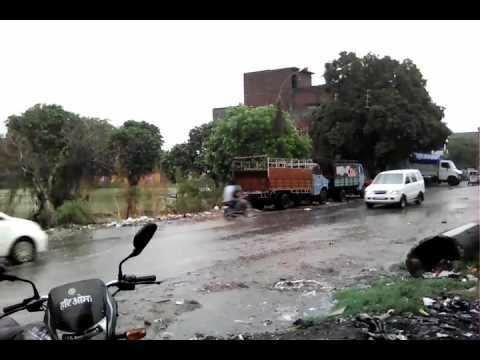 Mukerian is a city and biggest municipal council of Hoshiarpur district of Punjab. Mukerian is located at 31.95°N 75.62°E﻿ / 31.95; 75.62. It has an average elevation of 245 metres (803 feet). As of 2011 India census, Mukerian city had a population of 129889. Males constitute 52% of the population and females 48%. Mukerian has an average literacy rate of 77%, higher than the national average of 59.5%: male literacy is 80%, and female literacy is 74%. In Mukerian, 11% of the population is under 6 years of age. Mukerian has about 150 villages around it. Located on NH-1A. In Mukerian people mostly belong to Sikh and Hindu religion. There is a Sikh Gurudwara that was earlier the Fort of Maharaja Ranjit Singh's in-laws known as "Qila Atallgarh". The Legislative Assembly seat is held by Rajnish Kumar Babbi. The majority of the population is employed in agriculture and are serving in Indian Defence forces in several capacities. Mukerian is a permanent base of the Indian Armed forces and its south part hosts Unchi Bassi cantonment and Mansar in north. Region hosts majority of military exercises and war games of Indian army. Army School Unchi Bassi is the first CBSE affiliated school in the area. Now there are many good schools in close vicinity of Mukerian, Victoria International School (CBSE) ,St. Joseph's Convent School (ICSE) and Dashmesh Public School (CBSE), Dashmesh Public School is under management of SGPC and both schools are situated 3 km from Mukerian in a village named Chak Alla Bakesh. There are two degree colleges in the city – S.P.N College and Dashmesh Girls' College. Late Brig. Mehar Singh (retd) a patriot from Mukerian have been the chairperson of S.P.N College of nursing, (For ANM & GNM & B.Sc. Nursing and For PG) affiliated to Baba Farid University. Mukerian Hydel Project is one of the biggest irrigation projects in India. The Pong Dam across river Beas is about 35 km from Mukerian. 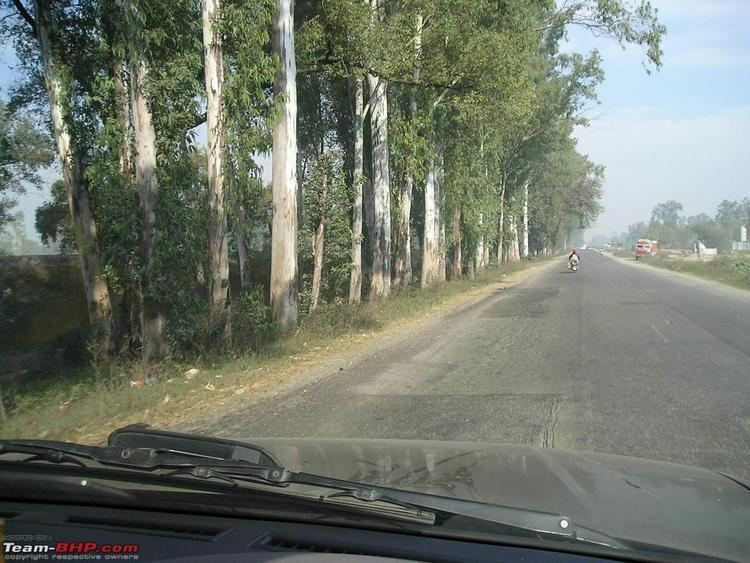 Mukerian is located on National Highway 1A and about 450 km north of New Delhi. A Lord Shiva temple is in the village of Kathgarh/Mirthal, about 20 km from Mukerian city. There is a natural Shivling in the temple. There is another temple Dera Baba Kanaiya Gir Ji Maharaj located 7km from Mukerian in the village Harsa Kalota known by the saint Baba Kanaiya Gir Ji (Baba Bohran Walay). The town is famous for not only for its food, BUT also for rich market it has for the women suit shops and jewelry shops. The main bazaar of Mukerian is also famous for having 90% of the clothing and gold shops. gautam art is famous for modification and lamination of bikes, mobiles and laptop. In Nutshell, The small town has each and every thing available which is needed for today's luxuries life. Mukerian has some 16 rice mills. A few prominent ones are Chajju Ram Muni Lal Rice & General Mills (888 and Lal Mandir brands), located on G.T. Road opposite Sugar Mill. The sugar mill at the south of the city is one of the biggest sugar mills in Punjab. Mukerian Paper Ltd. is the industry and distillery is the major employer in the region. Famous for its rice production across Punjab and across India, prominent Rice Mills now export their product all over the world. Basmati, Sharbati etc. are some of the better known varieties produced here in abundance. Mukerian is one of the biggest tehsils in Punjab. There are a number of villages that come under it. Dhoula Khera is the most famous village in the Mukerian Tehsil. It has the highest population in the tehsil. Many villages like Taggar Kalan ,Dhoula Khera, Landay(Mohiuldinpur Gazi), Manjpur, Ladpur, Tanda Ram Sahai, Mansoorpur, [BehBal-Manj], Kasrawan Aima Mangat, Budhabarh, Purika, Pawar, etc. Most of the population is engaged in agriculture. New Delhi = 450 km, Jalandhar = 74 km, Amritsar = 100 km, Ludhiana = 131 km, Dharmshala = 125 km, Chandigarh = 205 km, Hoshiarpur = 55 km, Dalhousie = 120 km.